U.P.#23 | The McKeen Motor Car Website U.P.#23 | The Compendium of Knowledge on the McKeen Motor Car Company, and their experiments. 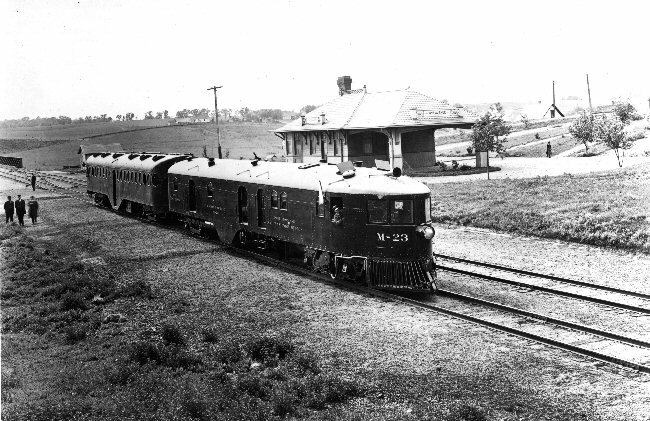 Union Pacific McKeen Car #23 on a trial run around Omaha, Nebraska around May 1915. Converted M-23 on Lincoln, Nebraska Turntable. 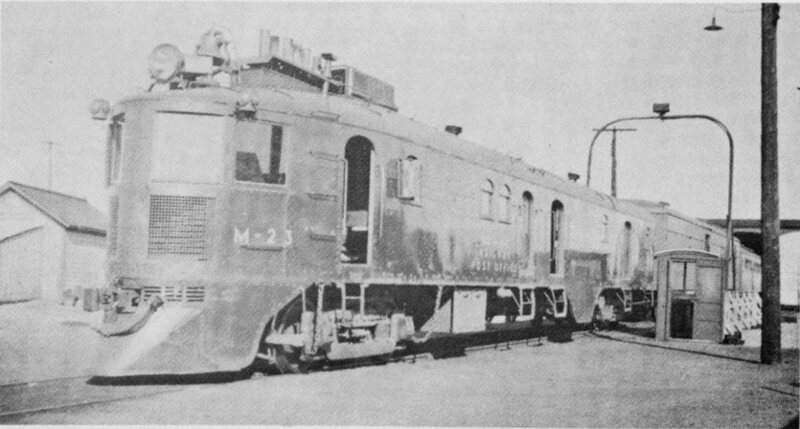 By about 1934, M-23, M-24, T-18, and T-19 had been painted in the new Union Pacific Streamlined Armour Yellow and Brown with red striping. That paint scheme evolved into Yellow, Gray, and Red, today’s paint scheme for most of Union Pacific’s Fleet of diesel locomotives.